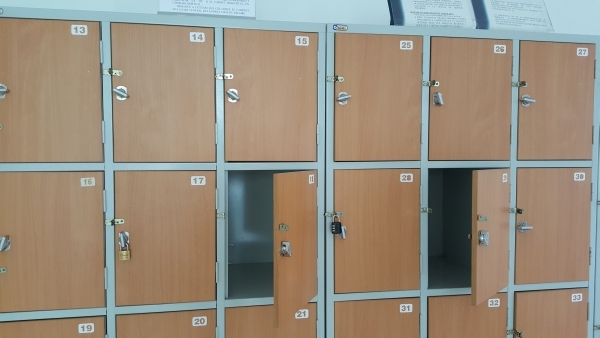 The University Library offers to the university community some lockers for personal use, in order to facilitate the deposit of personal items, for greater convenience in the use of Library services. Hall of the Central Library building. Researchers room Russell P. Sebold, in the Arts Library. 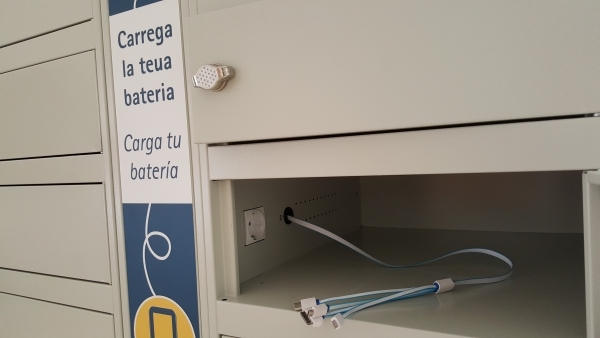 The Academic Management Service offers to the university community some lockers to charge mobile devices. You can find them at different points of the campus: one of them in the hall of the Central Library building. It is an electrical charge cupboard with 20 lockers containing various types of plugs for different electronic devices. ­It can be used from Monday to Friday, from 8:30 a.m. to 8:30 p.m. (Off the clock, lockers can be opened by the security staff). 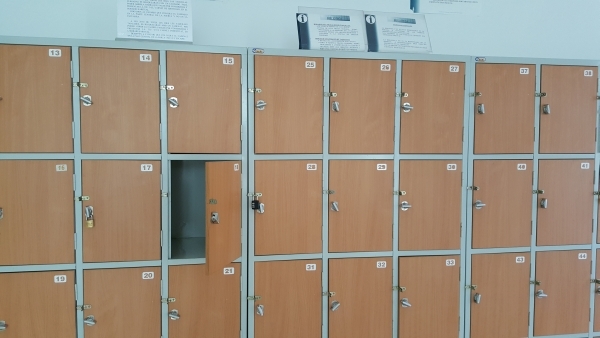 ­Each user must bring its own padlock (Nr. 30 type). ­Libraries are not responsible for the loss or deterioration of the objects placed. 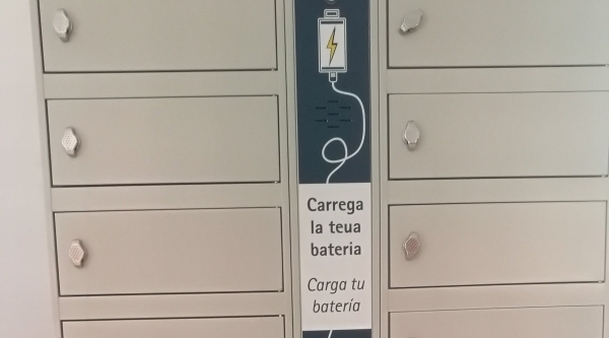 Regarding the mobile device charging lockers, it is not recommended to use them for more than 3 hours.